I have been a big fan of Ronie Kendig's books since I read the first one she published, Dead Reckoning, a suspense/political intrigue type book. Then she took to writing miltary suspense type books, or paramilitary, and I was hooked. She is an author who gets better with each book and series she puts out, so I have been eagerly anticipating not only this new book in a new series, but also her first release from Bethany House Publishing. Awesome is a word that gets overused and is thrown around carelessly, but there really is no better word to describe this book. Actually, mind-blowing awesome is a better term. Kendig does something different in this book that is new ground for her: the book starts out a long time before the actual story..... as in Bible times. 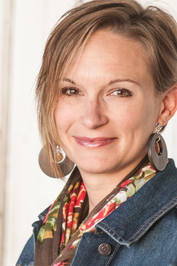 She uses the story of Korah in the Bible to launch this new book and series, and she also uses a lot of history and even some of the supernatural. 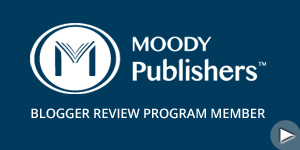 Plagues, curses, Templar Knights, and more find their way across the pages of this book. Add to all of that special ops, FBI, Mossad, secret organizations, and a lot of suspense, action, and drama, and you have a novel that is near impossible to put down. This is her 4th military series, and I would think it would get difficult to come up with different characters and make up a team of these characters that are different from the other series, but she has done that. The guys who make up this very special and unique team of soldiers is the most unique and awesome (yeah, that word again) so far. 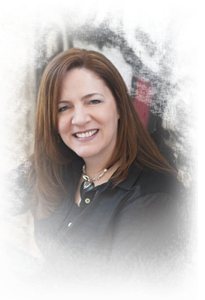 She has created a believable, yet outstanding character in her main hero of the story, Cole, or "Tox" Russell. The dynamic and interaction between this team of men who are a tad bit antagonistic towards their leader, yet trusting and respectful is entertaining and very cool to observe as you read this masterpiece of fiction. The story goes all over the map from the White House to archaeological sites in Syria to Israel. The action is non-stop, and through it all is an undercurrent of a Christian theme. Conspiracy of Silence is by far the best book I have read in 2016, and is most likely the last book I will read this year....... and what a way to finish my reading experience for the year. I honestly cannot say enough good about this book, and I am not exaggerating.....this book is really mind-blowing awesome. No Ronie Kendig book would be complete without a romantic element adding extra drama to the story, but she does it a way that I found myself hoping a certain guy would make a move for a certain girl, and found myself cheering when.....well, read it and you'll see. Speaking of cheering, when I finished the book, I gave it a rousing hand-clap of appreciation. Mrs. Kendig has outdone herself and has much to be proud of for the results of her hard work. I am definitely looking forward to reading more in this series and seeing where she is going to take this unique and powerful team of men. There is an e-book novella that precedes this novel, and I would highly recommend reading it first. The last I knew, it was free.. so download it: The Warrior's Seal. And as I have said in previous reviews of her books, these are definitely books men will enjoy, but women also will enjoy them. It was no surprise when she married a military veteran—her real-life hero—in June 1990. Married more than twenty years, Ronie and her husband have homeschooled for the last eighteen years. Despite the craziness of life, Ronie finds balance and peace with her faith, family, and retired military working doge in Northern Virginia. Conspiracy of Silence is available from Bethany House Publishing, part of the Baker Publishing Group. 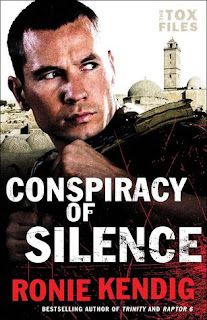 Thanks to the Conspiracy of Silence Influencer Group for the review copy. Download the e-book novella The Warrior's Seal here, which is free at the writing of this review. A Practical Guide to Praying for Your Community will help you topically organize your prayer requests and lay the burdens of your community at the feet of our Heavenly Father. Whether you are praying for a friend’s adoption journey, a neighbor’s bankruptcy, or a family member’s cancer, this book will give you Bible verses, prayer prompts, and prayer starts to guide you through praying for even the most difficult issues that affect the people you know and love. Perfect for either individual or group prayer, Pray A-Z will help you experience the peace that comes from communicating with God. I almost passed on this book, as I didn't think it could have that much in it, but I requested it, and discovered I was wrong. There is a lot in this book. The author somehow came up with 5 different topics for each letter of the alphabet...... a major feat in and of itself. Topics are covered such as adoption, sexuality, singles, love, homeless, and many more. Each topic has a Bible verse, and the reason to pray for or about that topic, which is followed by a prayer to pray. There are some prayers that could be prayed for anyone, but the book is geared for a community or neighborhood. I didn't read the whole way through the book, but I browsed through it and read several of the prayers. I found them well done, and right on target. This is a great tool for anyone wanting to help their prayer life, especially in regards to praying for those around them. 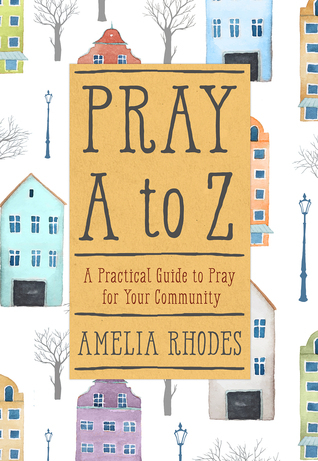 Pray A to Z is available from Worthy Publishing. Ariana Blake has one chance to land her own show on the Home Project Network and nothing—not an uncooperative client, a job site without indoor plumbing, or a challenging videographer—is going to stand in her way. Elsie, at seventy-plus, is far from the ideal client, but she knows exactly what she wants her field-stone house to look like, and no designer can tell her otherwise. Gabe Langley, the man with the camera, is caught in the middle and it is his wisdom and warmth that just may be the bridge that will bring these two women together. 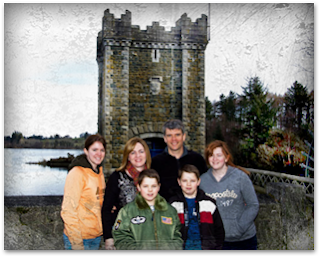 Can they restore more than just a house and bring about special, almost lost forever Christmas memories? I love Christmas books, so this one was a must read and review for me when it came up as a review opportunity, and this one was worth reading. There is a lot to like in this book: the characters, especially Gabe.....a really cool and different kind of guy for this type of book, the plot, the setting.....they all mesh to make a great story. I loved the idea of restoration in conjunction with Christmas, and the author did a great job of weaving that theme throughout the story and through the main characters' stories. I also liked that the author gave her characters flaws, and that this isn't one of those stories filled with perfect people. There is romance in the book, which I am not a big fan of, but it wasn't overdone nor "gushy", and I found myself rooting for it to happen. Cynthia has written a great Christmas story that doesn't just emphasize THE Christmas story, but also has the message of restoration that is possible for all of us at Christmas and throughout the year. 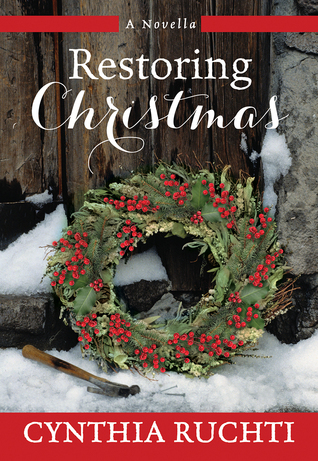 Restoring Christmas is available from Worthy Publishing. 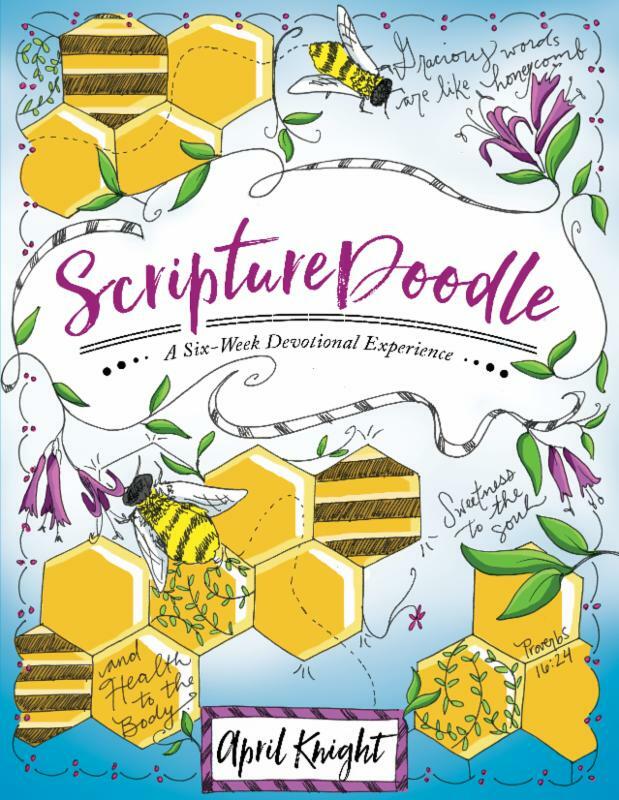 More than a coloring book, ScriptureDoodle is a combination of Bible study, creative expression, and artistic community with artwork shared online at #scripturedoodle. Exploring topics such as being generous, finding rest, and facing grief, ScriptureDoodle gives the heart the creative space it needs. This book stimulates the reader's imagination and helps integrate God's Word into everyday life. I'll say right up front that these two books are definitely geared towards women, not men....... and I am a man. However, I do occasionally review books that aren't necessarily for a single guy. These books are very cool. Who doesn't like a good devotional, and the author came up with this great idea to make two devotionals that are definitely hands-on. You cannot just pick up these devotionals and read through them...... they require some work, effort, and a little bit of artistry.....which is another reason these are not geared for me. The books are set up to do one page a day for 6 weeks. There are pages to read, pages to color, pages to draw on, pages to pick a verse and doodle about, etc. The first book is a general devotional book. 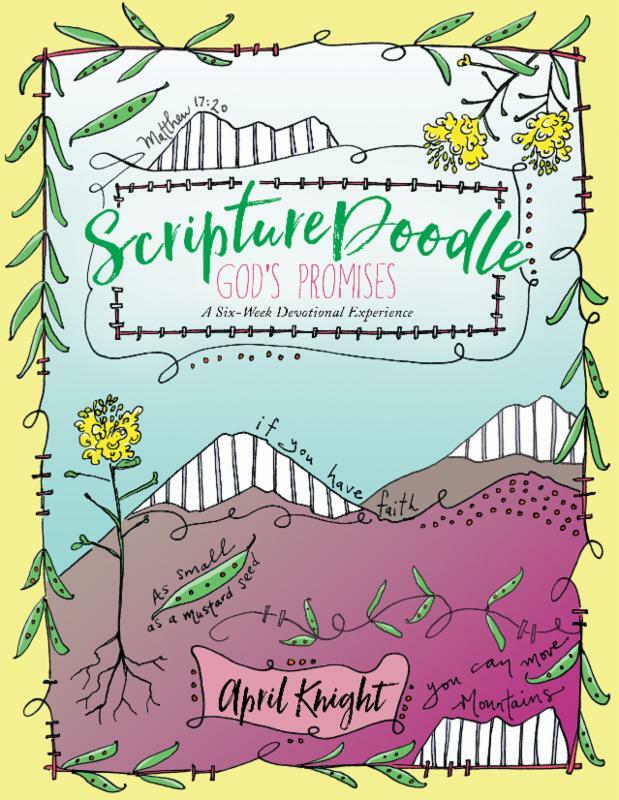 The second one is about God's promises, and different promises from the Bible are discussed, and also the reader is encouraged to look up their own promises and doodle/color them. As a guy reviewing these two books, I find them a very neat and cool idea. 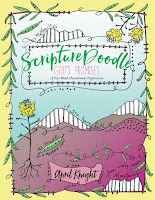 With the popularity of adult coloring books, these books are coming out a great time and forging a new frontier in the adult coloring market..... coloring/doodling devotionals. And these aren't light-hearted meaningless activities, but Bible-based and Bible centered activities to help draw one closer to God and His Word. 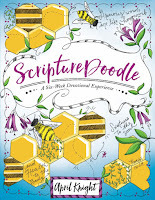 The Scripture Doodle Devotionals are available from David C Cook Publishing. Thanks to Litfuse Publicity for the review copies. Lord Gilbert Talbot must provide soldiers for Prince Edward's battle in France. 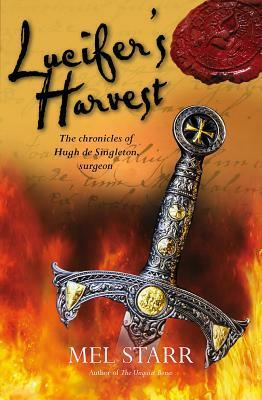 He wishes his surgeon--Hugh de Singleton--to travel with the war party to tend any injuries. Among those on the road is Sir Simon Trillowe, Hugh's old nemesis, who had once torched Hugh's house. This series is perhaps the most unusual suspense/mystery series that I read, being set in medieval times. Every time I think the series is done, the author comes out with another novel in the series and surprises me..... and I see there is a #10 slated, so I am happy. Lucifer's Harvest is different from the others in the series in that Hugh travels further from his home than in the other books, and not for the purpose of solving a crime, but for being present during a war. Since this is a suspense series, there of course is a crime to solve, and one this time that he himself is accused of. I was a bit disappointed in the length of the book. The others in the series tend to run over 250 pages at least, and this one came in at 160, short enough to be called a novella. I was just getting into the book when it ended. It was still a great read though. I liked the different setting for the book, and the added difficulty of solving a murder he himself was accused of made the task of Hugh solving the crime all the more interesting. As always, Starr does a great job of describing medieval methods of doctoring and solving crimes. I enjoyed the book a lot, and did find myself wishing it was longer. 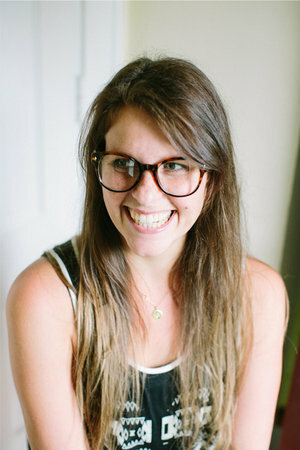 Mel Starr was born and grew up in Kalamazoo, Michigan. 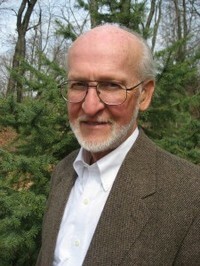 He graduated from Spring Arbor High School in 1960, and Greenville College (Illinois) in 1964. He received a MA in history from Western Michigan University in 1970. He taught history in Michigan public schools for thirty-nine years, thirty-five of those in Portage, MI, where he retired in 2003 as chairman of the social studies department of Portage Northern High School. Lucifer's Harvest is available from Lion Hudson, part of the Kregel Publishing Group. With his father dead and his business partner incapacitated, Peter Chandler inherits the leadership of a bank in economic crisis. 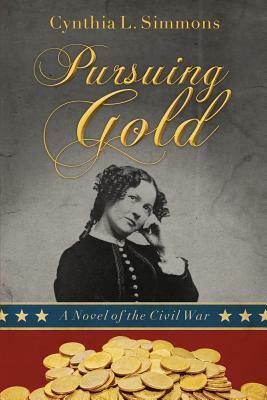 With only a newly-minted college degree and little experience, Peter joins his partner's daughter, Mary Beth Roper, in a struggle to keep C&R Bank afloat while the Civil War rages around Chattanooga. Political pressure for unsecured loans of gold to the government stirs up trouble as tempers and prices rise. 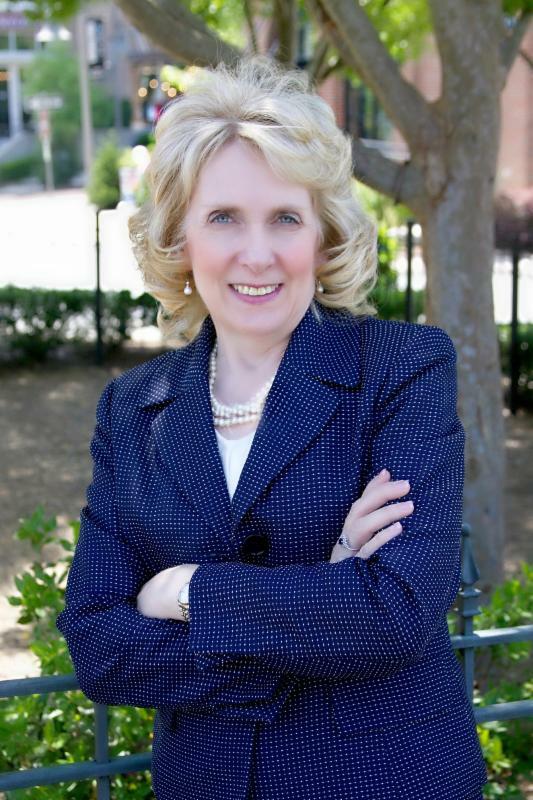 Their problems multiply when Mary Beth discovers counterfeit money with Peter's forged signature. Can they find the forger before the bank fails? The two friends must pursue gold on behalf of their business, as they learn to pursue their heavenly Father to find hope and peace. This is a case of not judging a book by its cover. Not to be rude, but the cover of this book doesn't scream interesting. I actually passed on it, but there were some spots left on the tour, so I decided to review it....... and found it to be a great read. The book is set during the Civil War, and is a rather suspenseful read, though not in the same way as much of the Christian suspense on the market. The action is slower paced, yet there are bad guys, bodies, and danger. Characters, especially the two main characters. In my opinion, the author used too many time and place stamps throughout the book, so much that it was a bit distracting. "A few minutes later" does not need to be noted. Other than that, I thought the book was well written, and it was an enjoyable read with a few surprises.